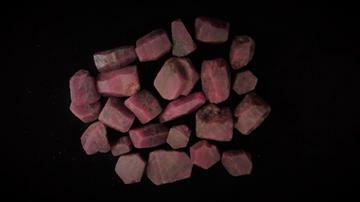 A ruby is a pink to blood-red colored gemstone, a variety of the mineral corundum. The red color is caused mainly by the presence of the element chromium. All natural rubies have imperfections in them, including color impurities and inclusions of rutile needles known as "silk". Ruby is used to warm the extremities, increase circulation and fight infection. It is beneficial for male impotence as well as female infertility. It helps with perimenopause symptoms and balancing menstrual cycles.